Whether you’re in Broken Arrow, Tulsa, or further out in Green Country, we are committed to making your lawn look amazing, and we’re excited to earn your trust through our hard work and experience. 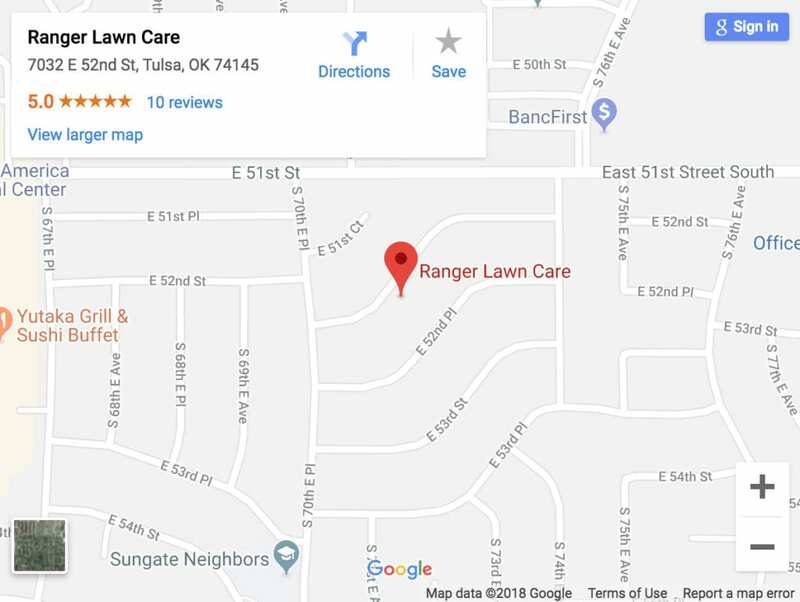 At Ranger Lawn Care, our Tulsa lawn care experts can give you a quick lawn care solution that can make your lawn look better after just one application. But the ultimate goal of our services is to get you lasting lawn perfection. That is where our Lawn Maintenance Program comes in. It provides a lawn care service that can have your lawn looking lush, thick and free of diseases. If you are looking for a long term solution to your lawn needs, ask us about our Lawn Maintenance Program today.